“This year is going so fast, I can’t believe we’re in September” – a phrase guaranteed to have been uttered across the land in polite British small talk and office chit chat. But seriously, where has this year gone! With summer holidays and the glorious weather, you might have missed what’s been going on in August in the world of PR and social media – but as usual we’re here to lend a hand with a helpful reminder. 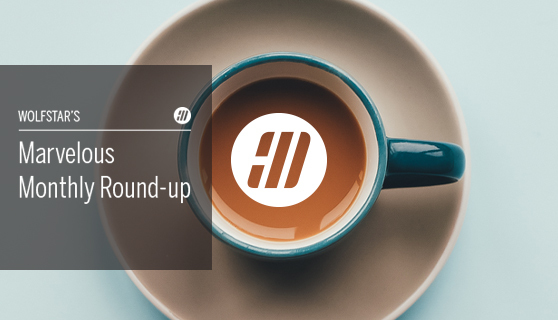 So, grab a cuppa and settle in as we round up some of last month’s biggest stories. Social Media juggernaut Facebook has launched its own video streaming service ‘Facebook Watch’ to a worldwide audience. The service will aim to compete with the likes of YouTube and Netflix is rolling out worldwide, just over a year after it launched in the US. Users will be able to choose from a range of shows – from established brands and newcomers – and will also have the added functionality to view clips saved from their News Feeds. Much like YouTube, Facebook plans to allow all content creators to feature advertising breaks, so long as they hit certain metrics. However, only videos shown to audiences in the UK, US, Ireland, Australia and New Zealand will have this facility. This is certainly one to watch as it develops, and it will be interesting to see who manage to take advantage of this new feature. It seems like forever ago that we were watching Jack and Dani’s love blossom in the Villa. Undoubtedly one of the biggest shows of the summer, at its peak, Love Island was being tweeted about over 3,000 times a minute! Which is why lots of brands jumped on the bandwagon to drive engagement on social media – one of our favourites was this effort from Aston Villa to announce their new signing. Is Snapchat on its way out? When Snapchat first came on the scene its rise in popularity was astronomical, becoming the social media platform of choice for Generation Z. This was due in part to the fact it didn’t leave a legacy; many millennials and those in the Generation Z category didn’t want to document their lives on social media and for it to stay forever, and Snapchat provided the solution to that issue. However, with the implementation of Instagram Stories, Snapchat failed to keep up and seemed to be playing catch-up as soon as Instagram launched its copycat. This has resulted in a loss of over three million users in the three months leading up to August. Which leads us to ask the question – “Is Snapchat on its way out?” – potentially a little premature just yet, as the social media app still has around 180 million users at last count. What do you think? Will it make a comeback? Or will it end up on the scrapheap with MySpace and Bebo? Facebook and Instagram are looking to introduce a time limiting tool to combat the negative mental health impact of social media, Tommy Robinson was “accidently” kicked off Instagram only to be swiftly reinstated and Facebook had to apologise after an embarrassing, insensitive gaffe involving balloons. Finally, the BBC interviewed two young female YouTubers, who gave a fascinating insight in to what it’s like to be a child star on the platform. August turned out to be a pretty hectic month in the world of PR and social media with lots of big developments. Check back to see what September has in store. And follow us on social media for more news and updates from the whole team.